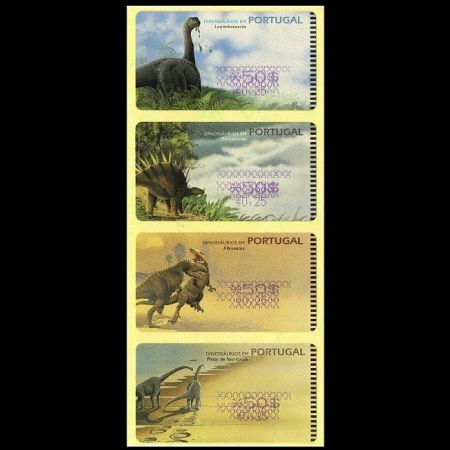 In 2000 Portugal as well as another 15 European countries start some preparation to use a common currency -EURO. 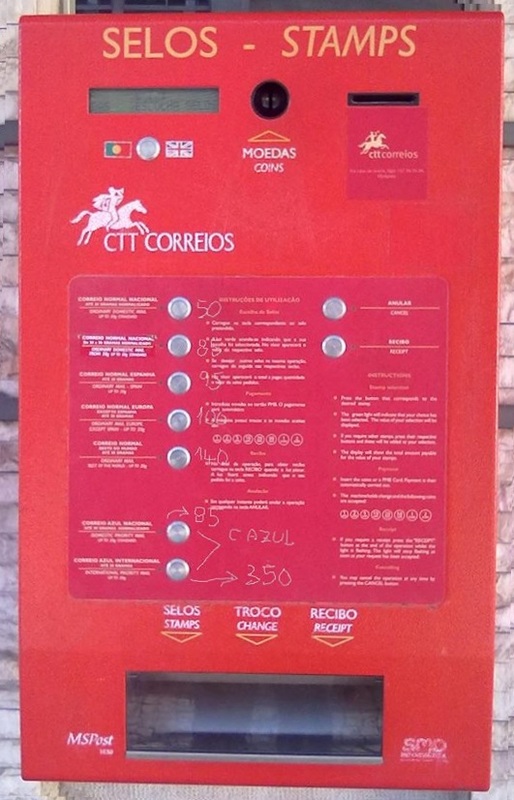 As part of the preparations all prices on every thing are written in both local and EURO currencies till the EURO money replace local currencies in Jan. 2002. 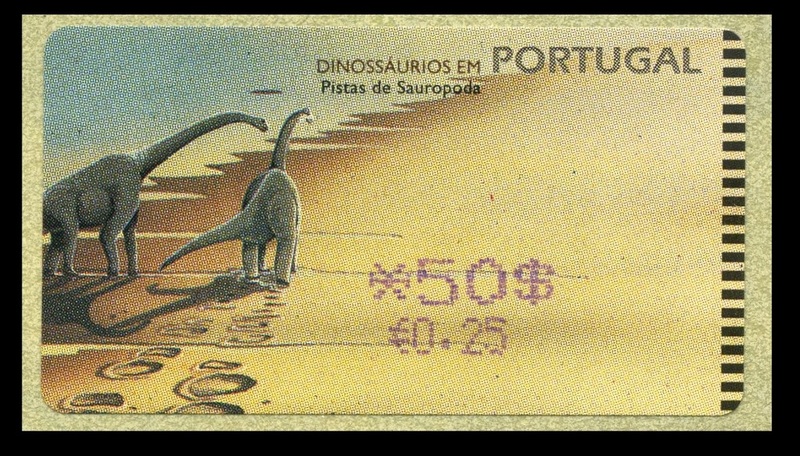 The same changes are done for the dinosaur ATM stamps too. 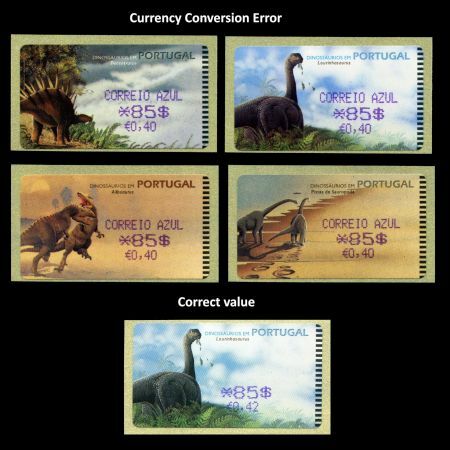 First stamps with double currency issued on Feb. 21 at Amiel machines and on March 13 at SMD one. 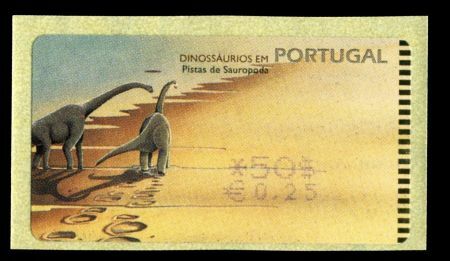 Distinguished from year 1999, in 2000 Escudo 85 stamps was available at ATM machines, as well as at philatelic desks of Portuguese Post. 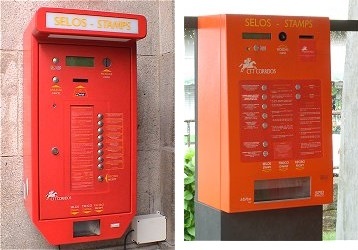 Amiel and SMD ATM machines at Philatelic Service Center programmed differently as similar machines at Post Offices. 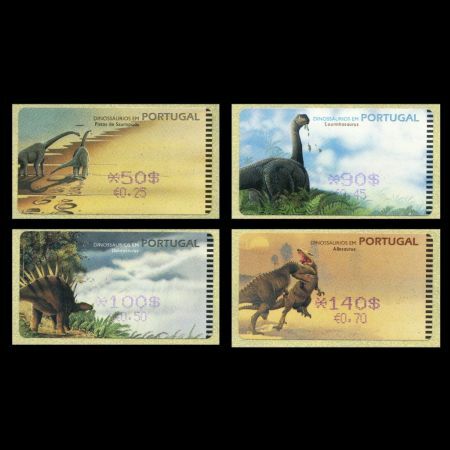 Stamps are issued by ATM machines at Philatelic Service Center used a point (".") 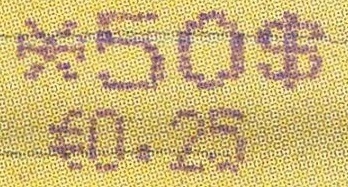 as Euro value separator (€0.25 for example). 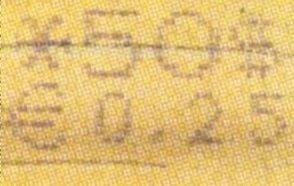 ATM machines at Post Offices used a coma (",") as Euro value separator (€0,25 for example). 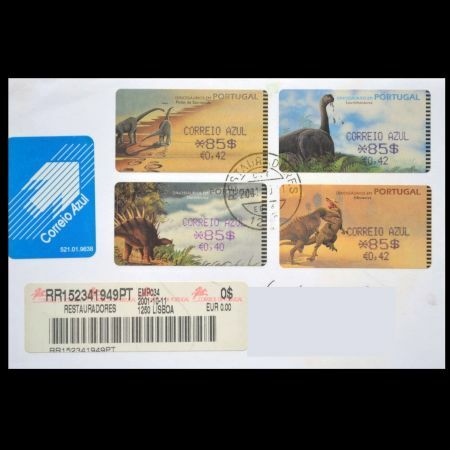 Stamps with coma are more difficult to get and are more expensive according to Afinsa, national stamp catalogue. 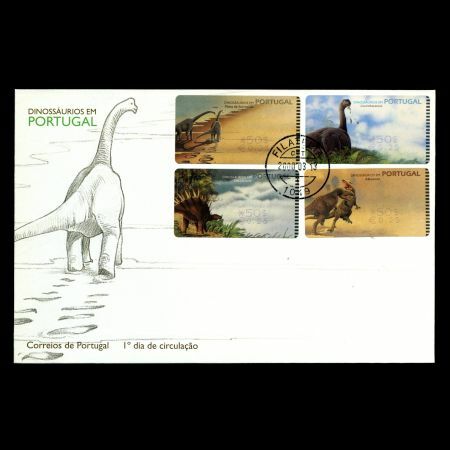 Related: Portugal 2000 "Examples of circulated covers" Portugal 2000 "Stamp variations" # Portugal 1999 "Dinosaurs of Portugal" Portugal 2002 "Dinosaurs of Portugal"
Many thanks to fellow stamp collectors Vitor Vieira and José Lalanda Jorge from Portugal, for his help to find some information about these stamps and who share scans of some stamps and covers.